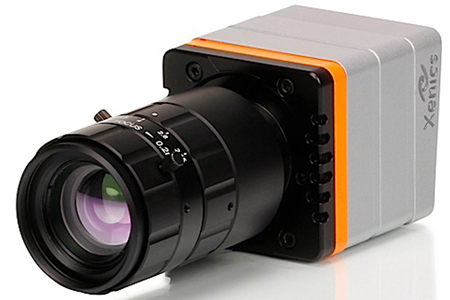 Xenics’ line of Lynx SWIR Line-Scan Cameras feature excellent sensitivity and are ideal for applications involving spectroscopy, semiconductor inspection, OCT (optical coherence tomography), non-destructive testing, line scan imaging, food inspection, and non-contact thermography of hot objects. Two different configurations are available (CL and GigE) with varying pixel resolutions. Smallest SWIR CameraLink line-scan camera with excellent sensitivity. Compliant with National Instruments and Euresys framegrabbers. World’s highest resolution SWIR line-scan camera with excellent sensitivity. Smallest SWIR GigE Vision line-scan camera with excellent sensitivity.